Sabrina Frey obtained her Bachelor’s Degree in Mechanical Engineering at the Swiss Federal Institute of Technology in Zurich (ETH). In 2012 she started her Master’s Degree with focus in Biological Fluid Science at the Institute of Fluid Dynamics at ETH. She joined the Interface Group in October 2013 to start her Master’s Thesis on reversible, focused ultrasound induced opening of the blood-brain barrier. 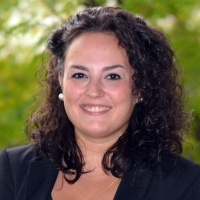 Sabrina finished her Master Thesis at the Interface Group in May 2014 and will continue with her studies as a doctoral candidate at the ARTORG Center for Biomedical Engineering Research in Bern.